When the jacket comes off it’s the shirt that does the talking. That’s why, with an eye for detail and demanding standards, every shirt we launder is returned as crisp and bright as the day they were bought. So whether you’re heading into a meeting, out for an evening meal or even a black-tie event, you can rest assured that you’ll always look the part. Our shirt specialists carefully inspect each shirt for stains and missing, cracked or broken buttons, which are replaced at no charge, and take extra care cleaning your collars and cuffs. 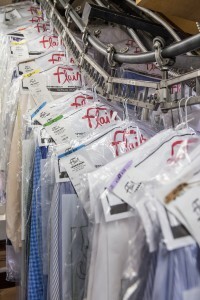 Every shirt is starched and pressed to your precise preference and delivered either on hangers or neatly folded and boxed. Don’t settle for just okay when you only get one chance to make that first impression; let us show you the difference a perfect shirt will make. 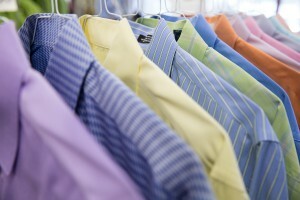 We’re confident that you’ll be more than satisfied and that you will leave with the confidence that your shirts are ready to wear every time. In a hurry? Don’t forget about our same day service.